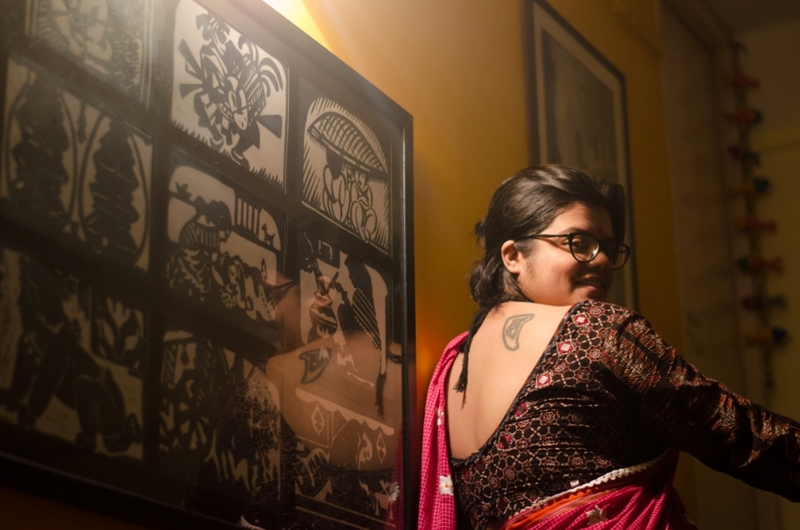 Sanjukta Basu’s project, Women with Tattoos, is aimed at understanding the stories of women who choose to embrace body art. Parama Ghosh, Kolkata. Photo credit: Sanjukta Basu. 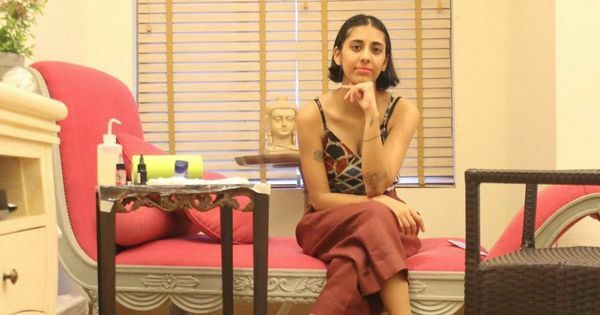 Having put so much thought into just one tattoo, the Delhi-based Basu began to think about the scores of women who deliberate just as much about body art and she wanted to know the stories of their tattoos. 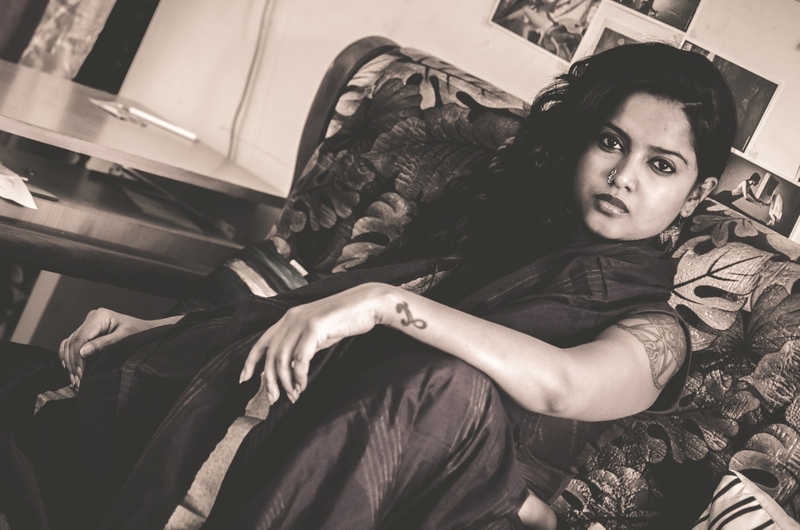 Through an open call on her Facebook page, Basu started meeting women in Kolkata, Chennai and Bengaluru who were willing to have their tattoos and stories chronicled. The result: a project titled Women with Tattoos. 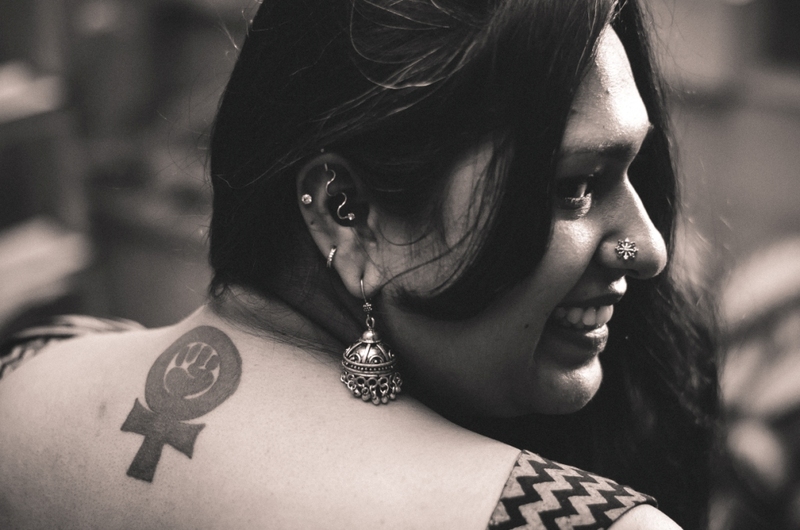 Basu is now inviting women from Delhi to tell their tattoo stories and be photographed. 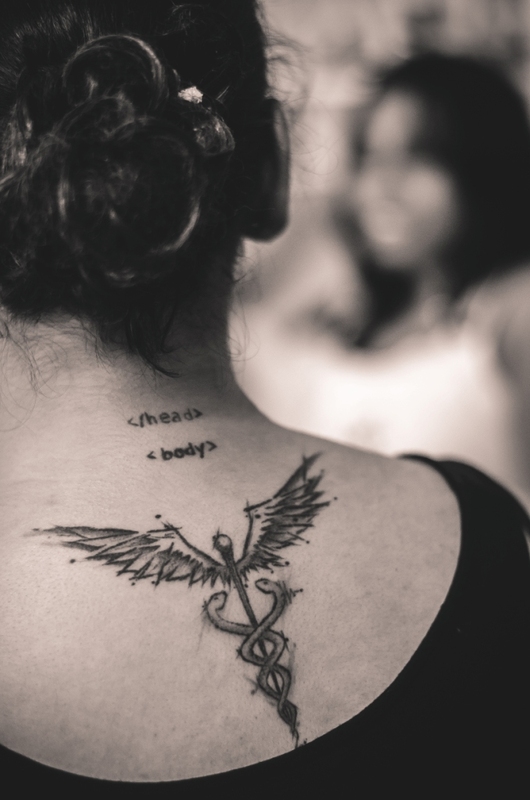 Chennai's Sekar got her first tattoo, when she learnt that feminism has a symbol. Photo credit: Sanjukta Basu. Megha from Bengaluru has 23 tattoos and was an inspiration for Basu to start the tattoo project. Photo credit: Sanjukta Basu. According to a 2008 study published in Body Image: An International Journal of Research, women with tattoos were “rated as less physically attractive, more sexually promiscuous and heavier drinkers than untattooed women, with more negative ratings with increasing number of tattoos”. In this context, an incident that Basu thinks of constantly is the story of a grandmother whose grandson, Aabesh Dasgupta, was found dead at a birthday party in Kolkata in 2016. Most news narratives could only focus on the fact that the grandmother appeared in front of media in a sleeveless blouse and with a tattoo on her arm. Jael Varma, Bengaluru. Photo credit: Sanjukta Basu.